Typical tank setup: Lots of plants and wood for grazing and providing cover with slow moving water. 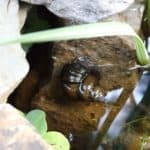 Often found in garden ponds. Water chemistry: ph 6-7.5 Tolerable of a wide range of conditions. Feeding: Lymnaea Stagnalis’s primary diet is vegetation found in their habitat. 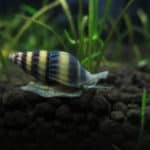 They feed on pond and aquatic plants so providing these if keeping these snails is essential. 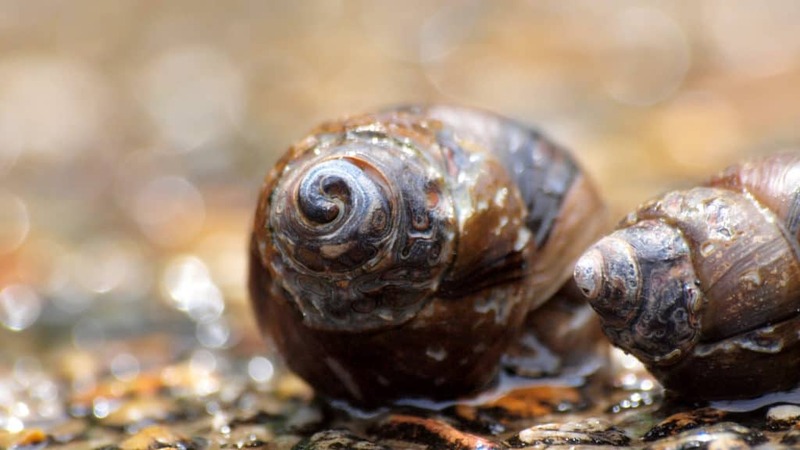 Sexing: These snails are simultaneously hermaphroditic meaning each snail can function as both sexes but only as one or the other during each mating process. 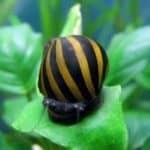 Breeding: Breeding these snails is relatively easy given a good supply of food and maintaining water quality. 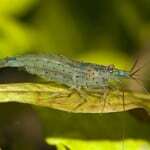 They often breed in the garden pond and other slow moving bodies of water. 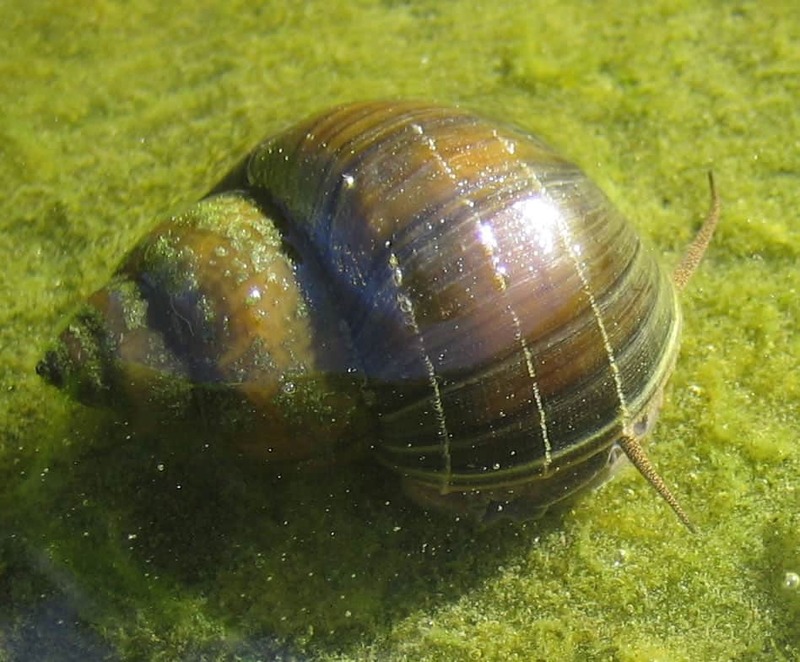 Additional Information: The Pond Snail is a common species in Europe and is easy to find. 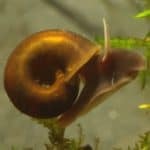 In fact if you have a garden pond set up chances are pond snails will be found in it and failing that you can buy them from aquatic stores with relative ease. 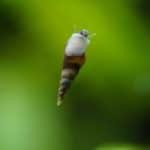 These are air-breathing snails and adapted to low oxygen conditions in stagnate waters; they actually don’t do well in medium to fast flowing water bodies. 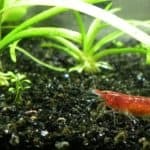 Red Cherry Shrimp – Neocaridina Heteropoda var. 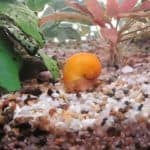 This entry was posted in Profiles Tropical All Snails.